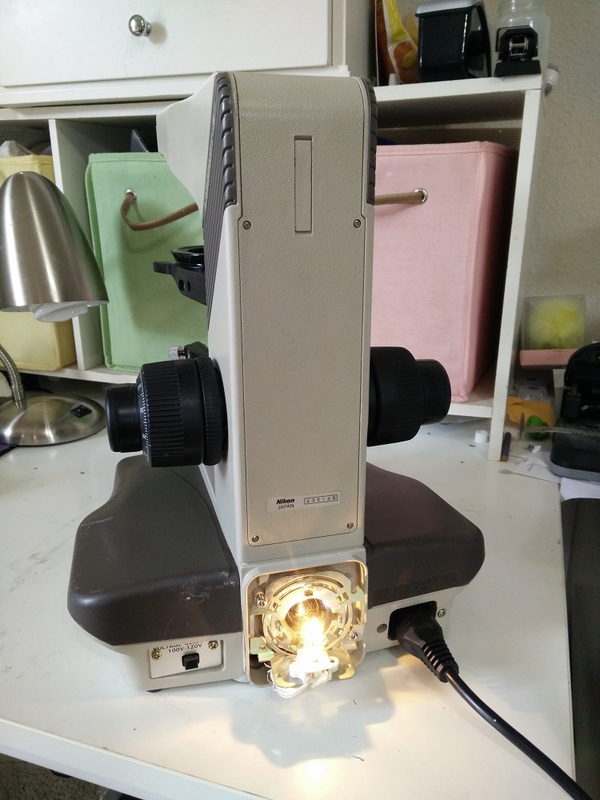 I have upgraded to an Optiphot, so this perfectly working Labophot 2 has to go to make room. I can offer it as a bare stand, as shown in the photos. Everything is working, fine and coarse focus mechanisms are smooth. It has working bulb and circuit, but has no lamp house. $69 + actual USPS shipping cost ($40.19) for this configuration. Add a mechanical stage for additional $50. 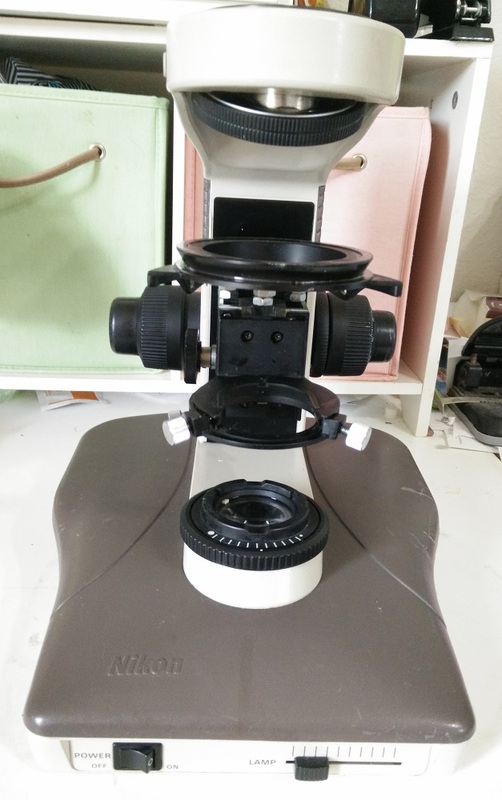 The stage height can be configured (with hex nuts) to accept both 33 mm parfocal LOMO objectives AND DIN objectives. Substage height is reduced for DIN objectives in this configuration. Or stage height can be configured only for DIN 45mm objectives, which provides more substage height. 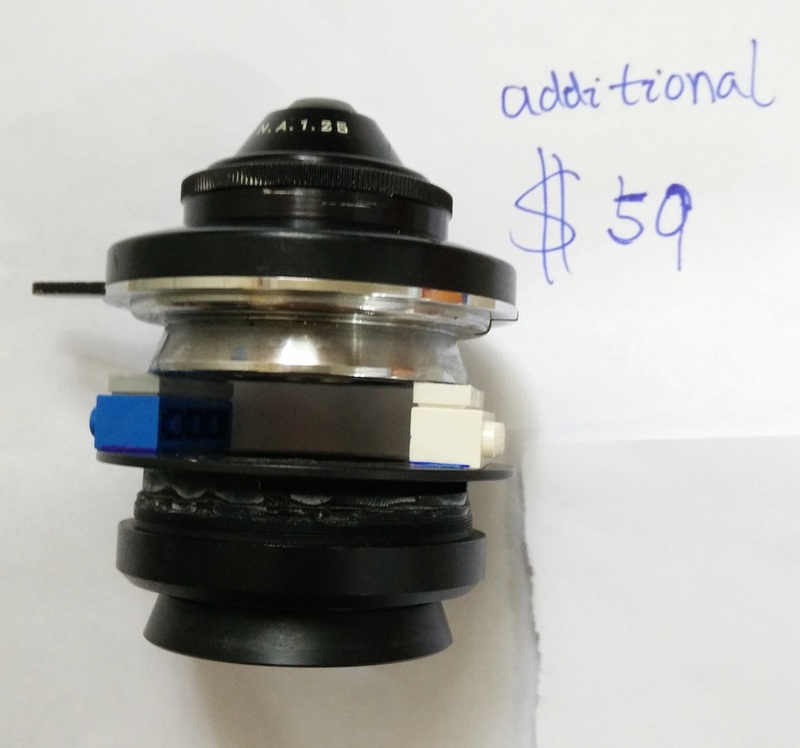 Add a raised AO Spencer aspheric (aplanatic) Abbé NA 1.25 condenser for additional $59. This modified condenser will work perfectly (and provides Kohler light) for short LOMO objectives. I have been using it for two years, before my upgrade. 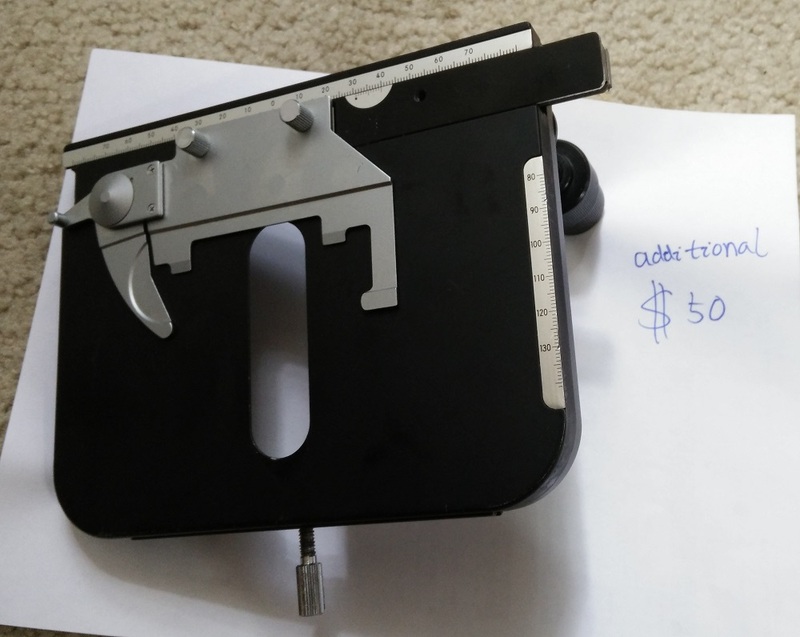 Add 5 LOMO objectives for additional $79. 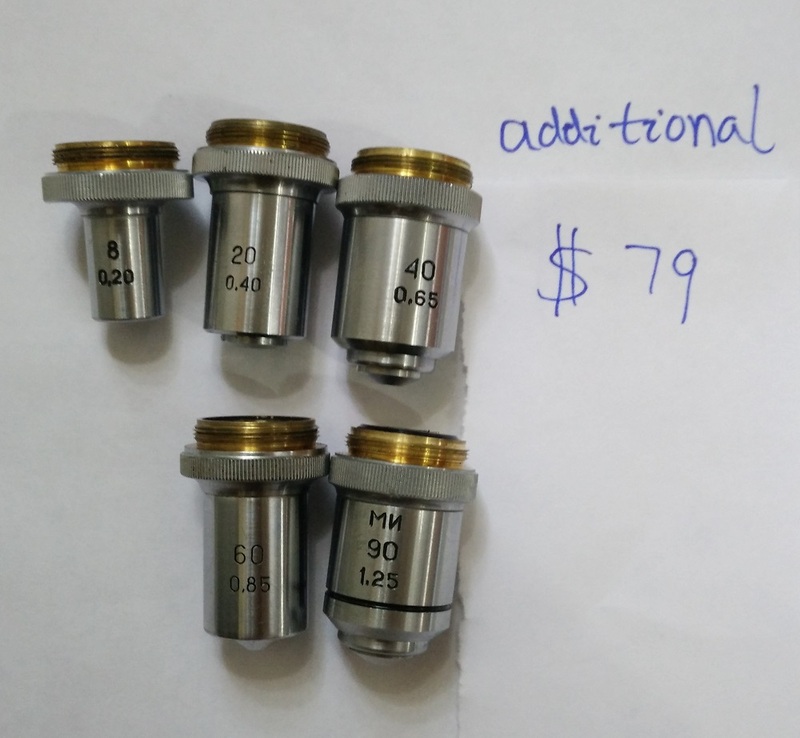 8x NA 0.2, 20x NA 0.40, 40x NA 0.65 spring, 60x NA 0.85 and 90x NA 1.25 oil spring. 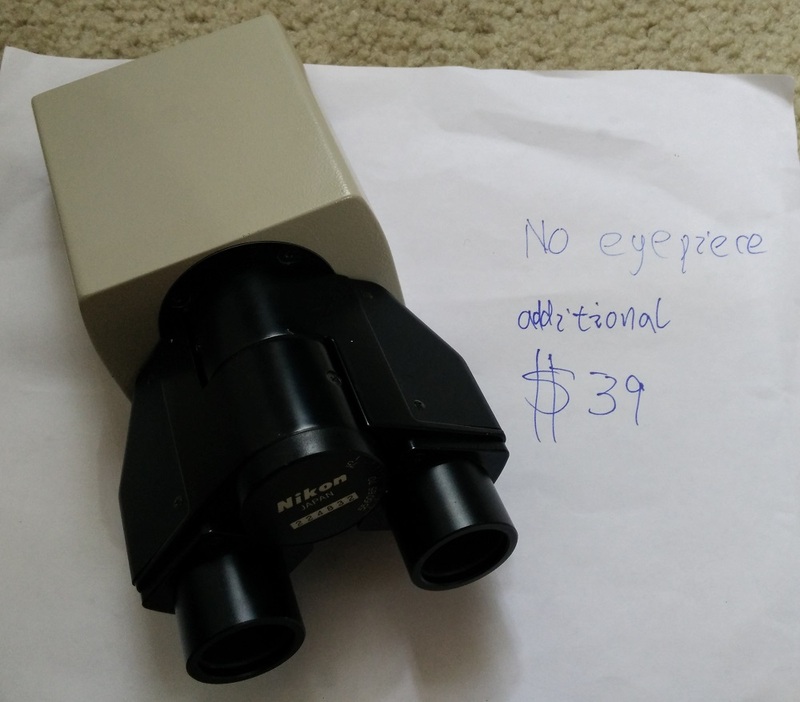 Add a Nikon binocular head for additional $39. Local pick-up is possible. Shipping to Canada is possible, if buyer covers the difference. Otherwise, no shipping to countries outside of continental USA. the focus block alone has to be worth $200.00 ! 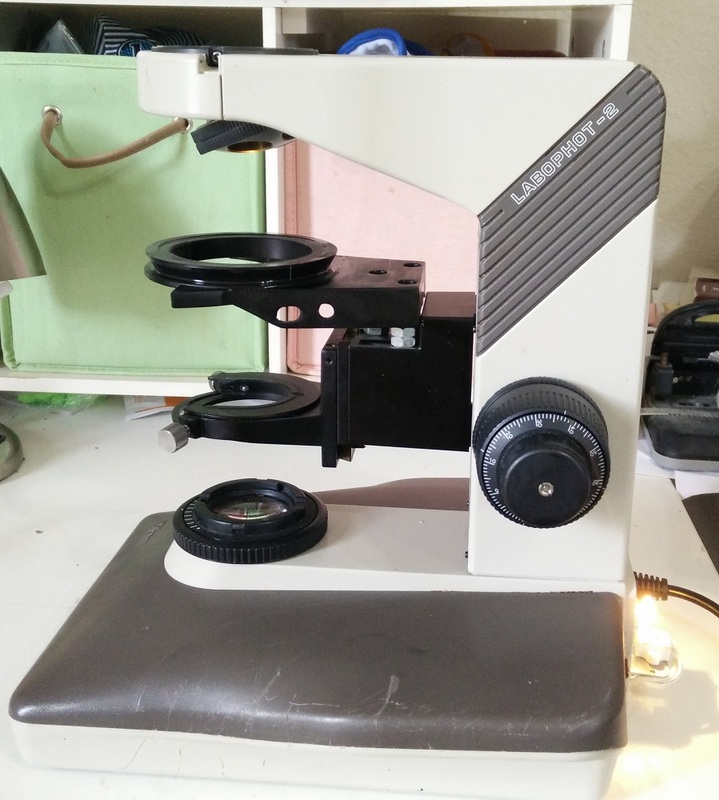 I will give $20 off on my LOMO water immersion apo objective 70/1.23 (as listed on my eBay page, which works perfectly on this Labophot stand using my modified condenser), if anyone buys this stand together with that objective, outside of eBay (directly from me).